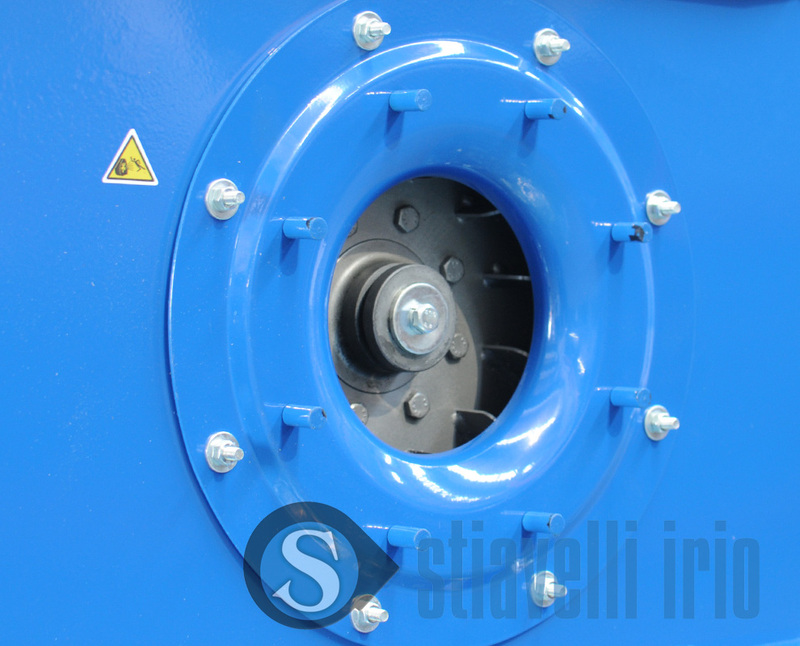 Industrial fan used to suction and extract dust from the cement plant area. The fan is supplied in arrangement 8 with elastic joint, suitable for reaching a maximum speed of 7000 rpm, including oil-lubricated support and WEG electric motor with balanced rotor according to grade B for maximum 6000 rpm. The fan is equipped with the following accessories: inlet filter, outlet vibration-proof joint, shock absorbers with anchor bolts. WEG Electric Motor 132 M2, 12,5 kW, 2 poles, 400 V, 3AC, 50 Hz. 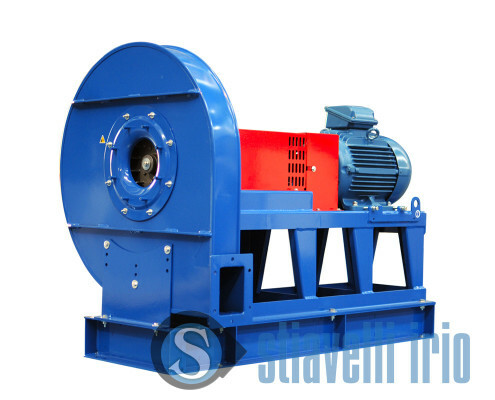 Balanced rotor according to grade B, suitable for reaching maximum 6000 rpm. Fan designed for continuous operation (24 hours) to blow air in the catalysing system (cement sector), with impeller structured for 5000 rpm with balancing grade 2,5, fluid temperature +41° -22°. 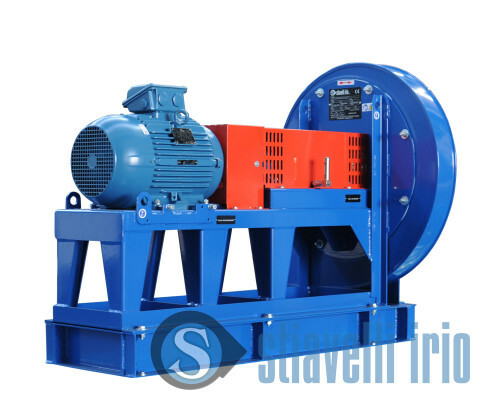 Oil-lubricated support, WEG electric motor with balanced rotor according to grade B for maximum 6000 rpm, elastic joint balanced for 7000 rpm; fan powered by VSD. The scope of supply includes 16 fan units. Our customer witnessed the running test at our premises and was really satisfied, especially with the vibration control test that was a crucial element in the supply.